I think some episodes of Xena capture the spirit of Homer quite well. And no, I’m not even kidding! Yes, violence. Lots and lots of violence described in minute and excruciating detail. Especially in The Iliad, where the carnage is pretty much constant. People die in every way imaginable, plus several ways I don’t think many people have imagined. And it’s all described in detail: eyes gouged out, jaws split, brains spilled, spines crushed, entrails on the ground, tongues cut off… Death is never pretty or romantic in Homer’s books. Obviously Homer’s audience liked those descriptions or they wouldn’t have been there. Probably they’d seen carnage and war up close in many cases, and wanted to hear it described by someone who could describe it well. The Iliad also has a good cast: wily Odysseus, the troubled super-hero Achilles, the petty king Agamemnon, old Nestor who always goes off on a tangent about how things were better in the olden days, pretty Paris who isn’t exactly brave, righteous Hector who tries to be as good a man as he can, and so on. In some ways, The Odyssey is like a spin-off from The Iliad rather than a sequel. It takes a prominently featured character from The Iliad, though he is still a supporting actor in that story, and makes him the hero. Kind of like how Xena got her own show after showing up on Hercules’. (I said kind of…) And like many heroes, he’s got a hell of an obstacle course to get through before the end. The Odyssey is nowhere near as violent as The Iliad. Sure, people get eaten, drowned and killed but that’s just part of the obstacle course, aka adventure. On the whole, the story in The Odyssey is more human in scope than The Iliad, even though the gods keep intervening and monsters lie in wait and even though there’s a trip to the land of the dead. Odysseus’ story just feels so human. There is hunger, fatigue, deceit, fear, pain, desire, homesickness, loneliness, despair… everything on a human scale. No superheroes of Achilles’ caliber here. It’s just one man persevering through ten years of hardship to get home. He even turns down a chance at immortality with a gorgeous supernatural woman. Why? Because, like Dorothy figures out in The Wizard of Oz: “there’s no place like home”. 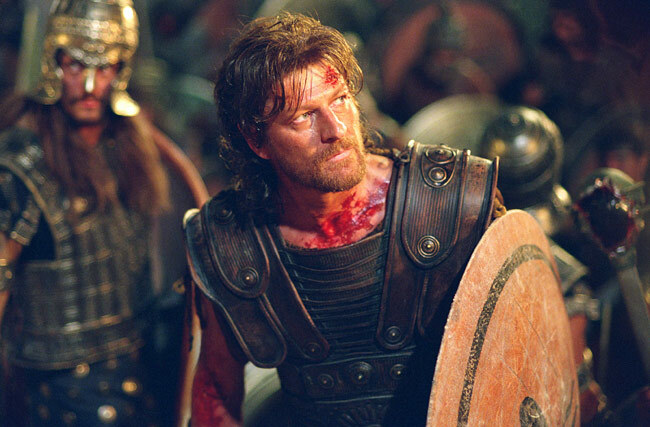 Sean Bean as Odysseus in the movie “Troy”. Not the best interpretation of Homer, but not bad. Cheesy? Yes. But tasty cheese. I think what strikes me the most when I read Homer is that even though these stories are ancient, they don’t feel like they lack anything. Sure, they’re told differently than many stories would be told today, but there is nothing that gives the impression that this is one of humanity’s first real attempts at literature. It’s all there, right away: metaphors, similes, cutting between different story-lines and points of view, dialogue that reflects the characters’ personalities, flashbacks, in medias res… all these storytelling devices are already there. It’s fascinating. 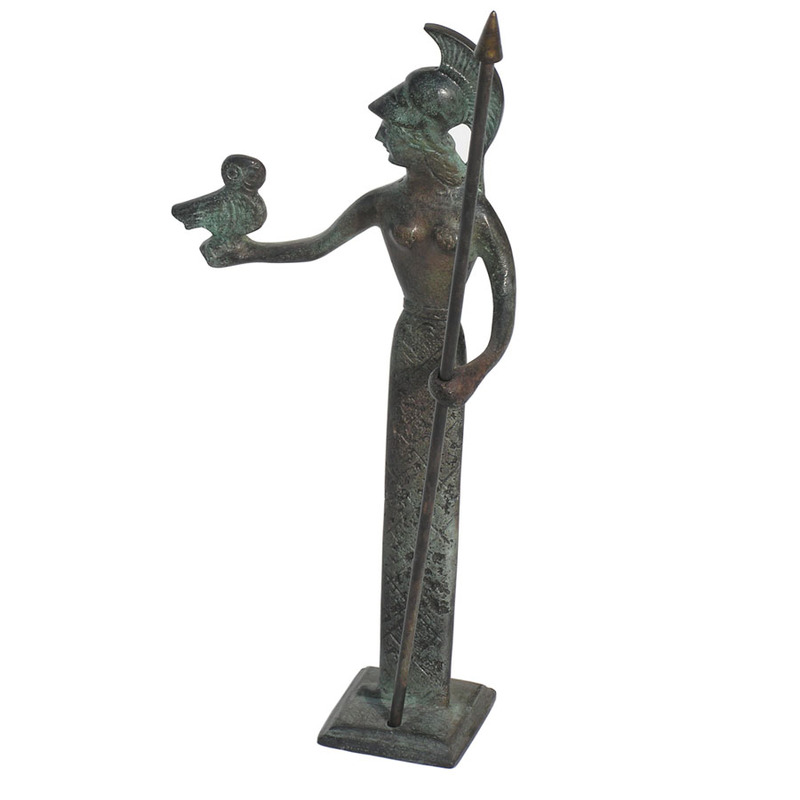 I don’t deny that the language of The Iliad and Odyssey is sometimes high-falutin’, because it sometimes is. At times I feel like you have to look through the language, the somewhat stiff and unfamiliar words and turns of phrase, to see the story underneath. And other times, the language moves with the story, beautiful and totally alive. who stood their ground around Patroclus’ body. Not every translation of Homer’s work is created equal. My own favourite is Robert Fagles’ translation: The Iliad & The Odyssey.